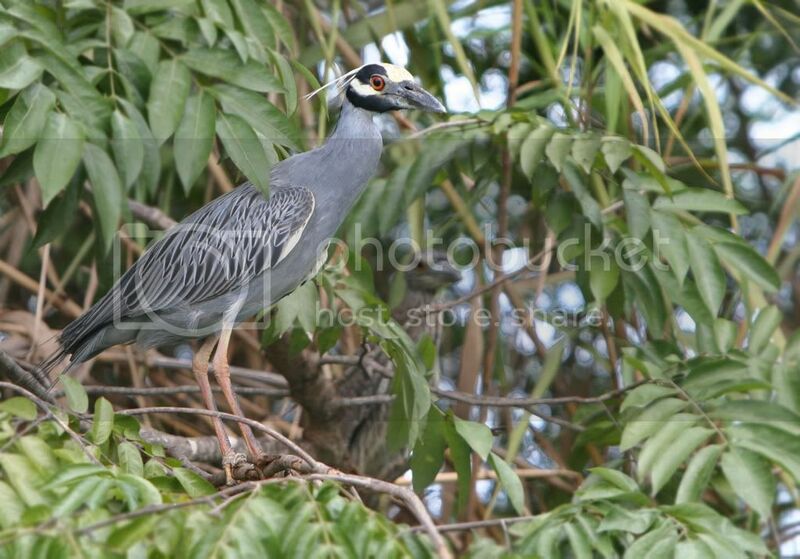 In the world of Aves from the family of Ardeidae is Nyctanassa violacea commonly known as The Yellow Crowned Night Heron. It’s a resident breeder in Belize from Ambergris Caye to Punta Gorda this rare and unusual Heron is thriving, but it is seldom seen. This stocky, black and gray nocturnal heron roosts camouflaged during the day in the salty mangroves and freshwater habitats of the mainland. Another of his books says,’ Night Heron are crepuscular (active at dawn and dusk) and are nocturnal feeders.’ but I’ve seen them forage in the daytime during the nesting season, probably to feed extra mouths, they are requester. They are strictly carnivorous and prefer crabs. Their long legs and neck allow them to forage in aquatic habitats such as Belize’s Caribbean shoreline behind the barrier reefs and along the banks of its many lagoons. Bubba said there numbers are increasing in Belize and this is probably due to this country having placed one-fifth of its land mass in nature reserves many years ago. If you’re an incidental birder and not willing to walk your flashlight at night along the secluded moonlit beach or lagoons side in search of this rarity, overcast days seem to be a break in the nocturnal behavior. You may discover them stalking Soya in the savannas or in the shade or the littoral forest. Soya is a local name for a terrestrial crab the birds eat. Local fisherman value them as a prize fish bait. I would have to call it a hermit crab that commonly takes up residents in empty Apple Snail shells, or what ever shell is available. The Night Herons bill is especially adapted for removing such an escargot delight or any substitute tenant. Most Birders who find rare birds are looking for rare birds. A rarity hunter will be prepared with an intimate knowledge of the bird, its habits, likes, and dislikes. Chances improve as rare species tend to occur in specific habitats and only at certain times.